During one of Special Agent Dale Cooper’s dream visits to the Black Lodge, Laura Palmer’s spirit told him, “I’ll see you again in 25 years.” On March 25th, 2014, my brother and I launched our “Twin Peaks” twitter experiment, “Enter the Lodge,” on the 25th anniversary of the day the final episode of “Twin Peaks” took place. 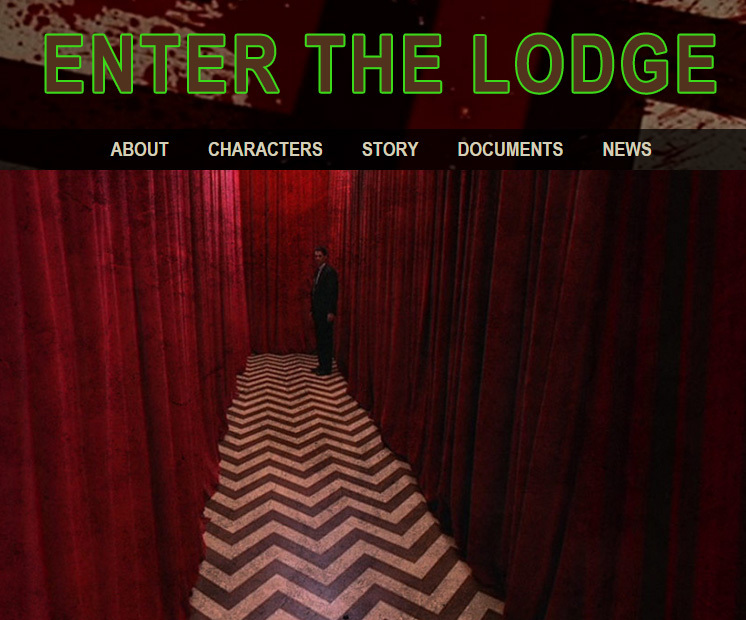 “Enter the Lodge” was a 5,000+ tweet story, spanning more than 70 character accounts and four weeks, real time. Many fans considered it to be the closest thing they had to an official follow-up to the series, until Showtime announced their “Twin Peaks” television revival later that year.